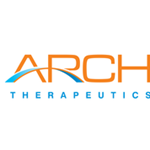 FRAMINGHAM, Mass., Oct. 01, 2018 (GLOBE NEWSWIRE) -- Arch Therapeutics, Inc. (OTCQB: ARTH) (“Arch” or the “Company”), developer of novel liquid, gel and solid hemostatic and wound care devices, today announced that the Company submitted a 510(k) notification to the U.S. Food and Drug Administration (FDA or “the Agency”) for its AC5ä Topical Gel (AC5)1 and has received acknowledgement from the Agency that the submission has been received. The purpose of the 510(k) notification is to allow for commercial use of AC5 on external wounds for the management of partial and full-thickness wounds, such as pressure sores, leg ulcers, diabetic ulcers, and surgical wounds. As previously disclosed, the Company plans to file a CE Mark for external use of AC5 this calendar year, to subsequently seek regulatory approval for expanded indications, and to pursue internal use commercial opportunities for other AC5-related products through the premarket authorization process. Arch continues to evaluate commercialization options and will provide updates when appropriate. Arch Therapeutics, Inc. is a biotechnology company developing a novel approach to stop bleeding (hemostasis), control leaking (sealant) and manage wounds during surgery, trauma and interventional care. Arch is developing products based on an innovative self-assembling barrier technology platform with the goal of making care faster and safer for patients. Arch's development stage product candidates include the AC5™ Topical Gel and the AC5™ Surgical Hemostatic Device.